Search For "Legal" Companies in Houston, Texas - Click Here Now! 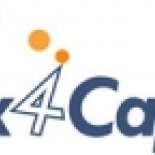 Click4Capital Is An Equipment Leasing & Factoring Company In Houston, Texas That Has Been Provides Businesses Financial Consulting & Unsecured Lines Of Credit By Providing Instant Cash For Accounts Receivable. Business Capital Solutions in Houston is a company that specializes in Legal Services. Our records show it was established in Texas.